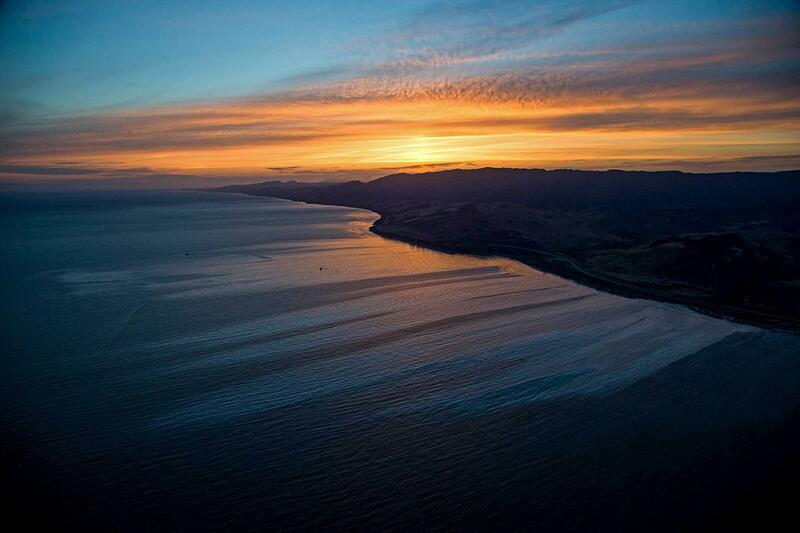 California oil spill and Rohingya refugees in this week’s best pictures. 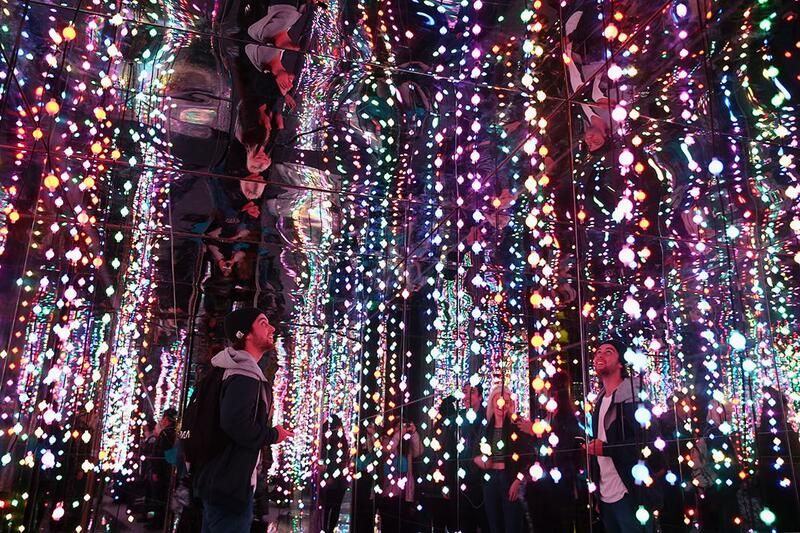 A festival visitor walks through the “Kaleidoscope” installation as part of the Vivid Sydney Festival on May 22, 2015, in Sydney. 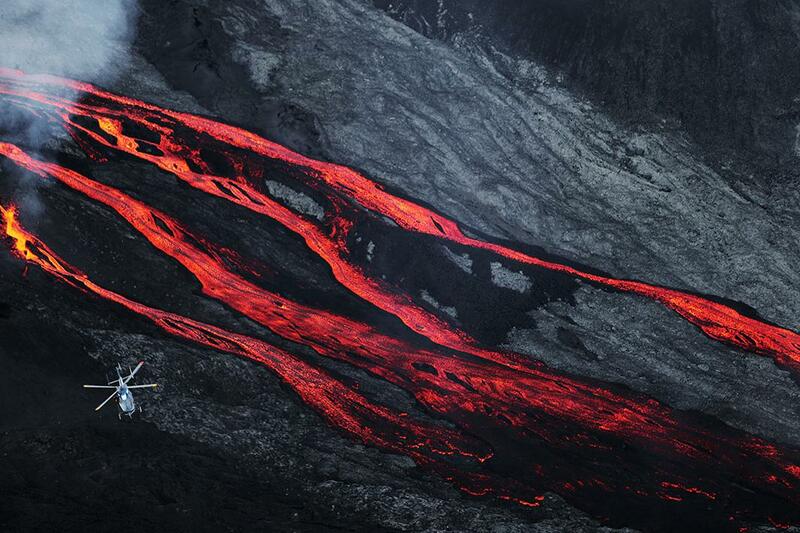 A helicopter flies overhead as lava flows out of the Piton de la Fournaise volcano on May 17, 2015, on the French island of La Reunion in the Indian Ocean. An oil slick is seen along the coast of Refugio State Beach in Goleta, California, on May 19, 2015. A pipeline ruptured along the California coastline, spilling some 21,000 gallons of oil into the ocean and on beaches before it could be secured. 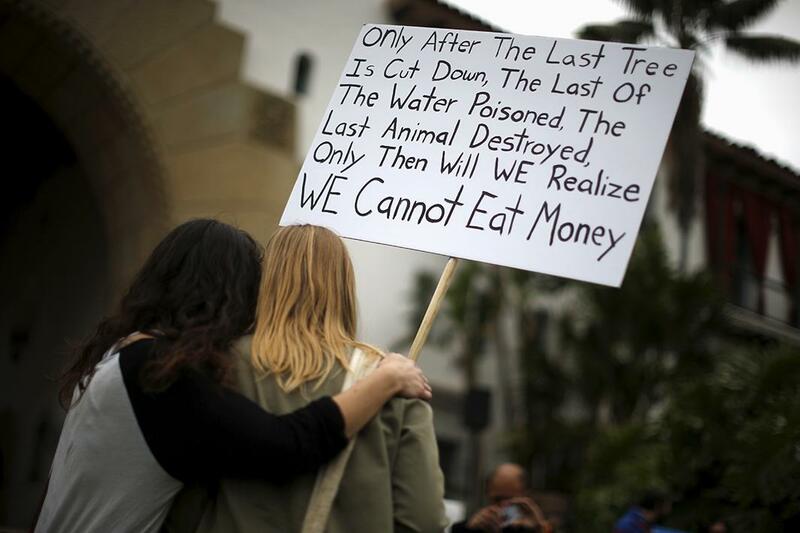 From left, Paige Thelen, 22, and Paige Craine, 22, pose for a photo at a protest calling for a ban on fracking and a phasing out of oil development in Santa Barbara, California, on May 21, 2015. U.S. 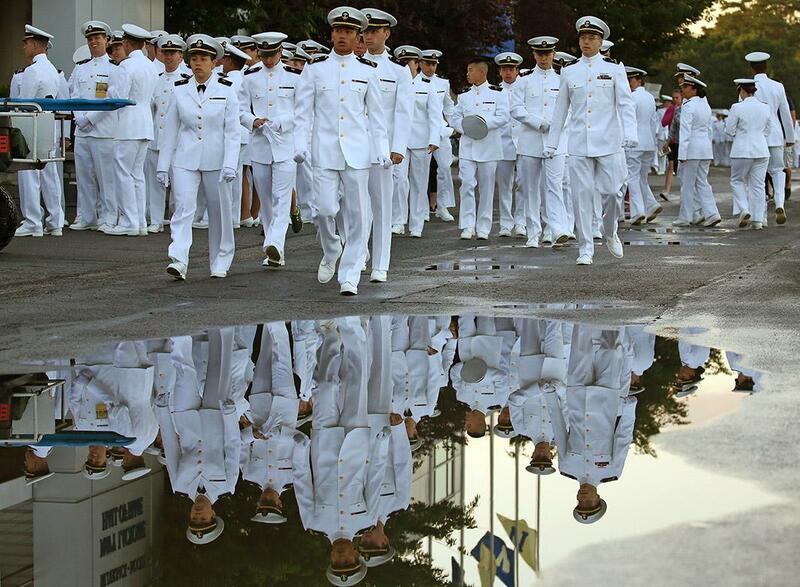 Naval Academy midshipmen arrive for graduation ceremonies at the U.S. Naval Academy on May 22, 2015, in Annapolis, Maryland. 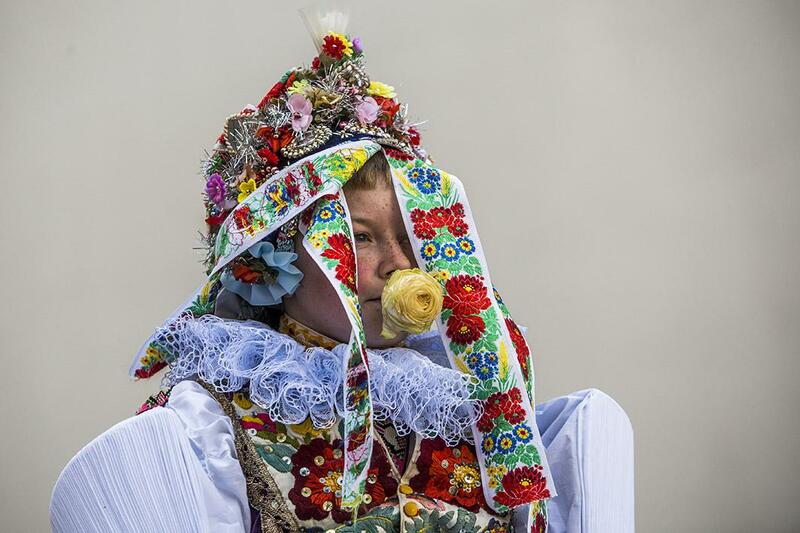 Frantisek Libosvar, 12, dressed as a girl and with a rose in his mouth, leads the royal procession during Ride of the Kings as part of Navalis St. John’s celebrations on May 15, 2015, in Prague. The celebrations take place to commemorate Czech saint and Prague native St. John of Nepomuk, patron of all people of the water. 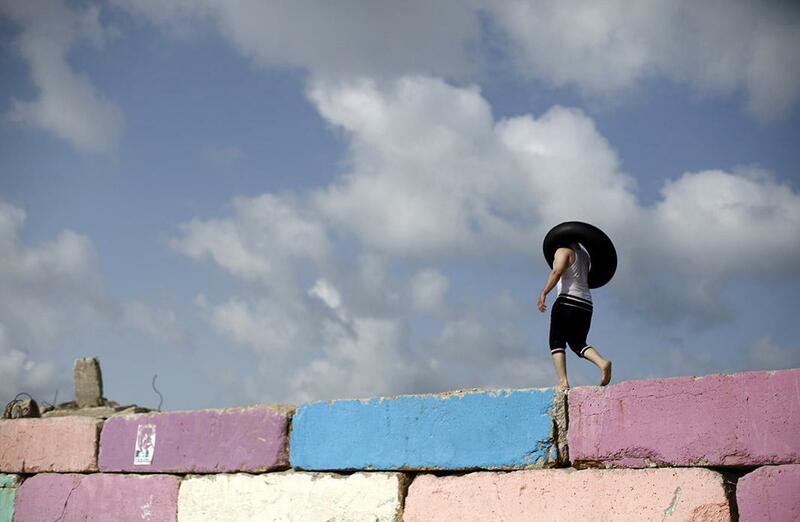 A Palestinian walks on a wall carrying a buoy on May 22, 2015, in Gaza City. 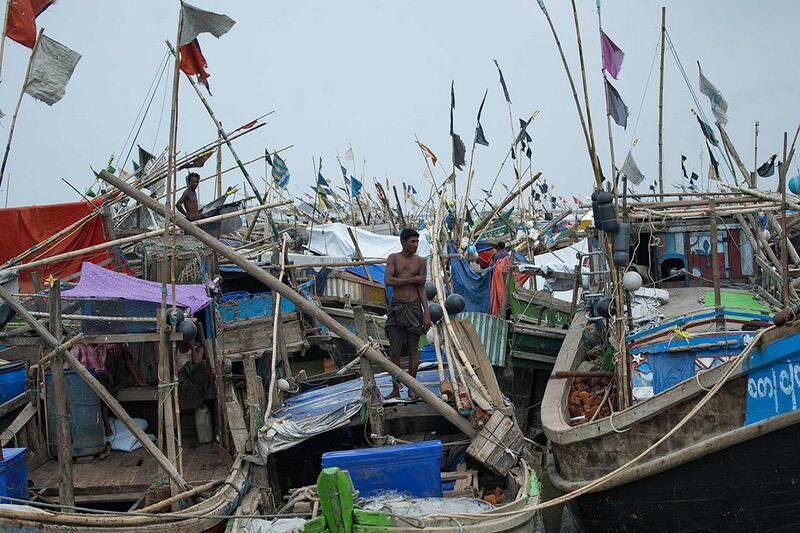 An Rohingya Muslim man looks on as he stands on a boat near a jetty at a refugee camp outside Sittwe, Myanmar, on May 22, 2015. 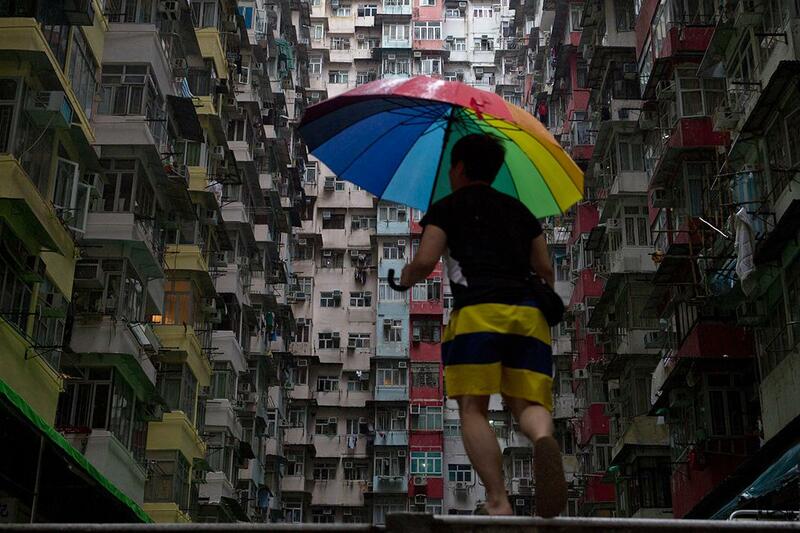 A man walks past an apartment complex in Hong Kong on May 16, 2015. 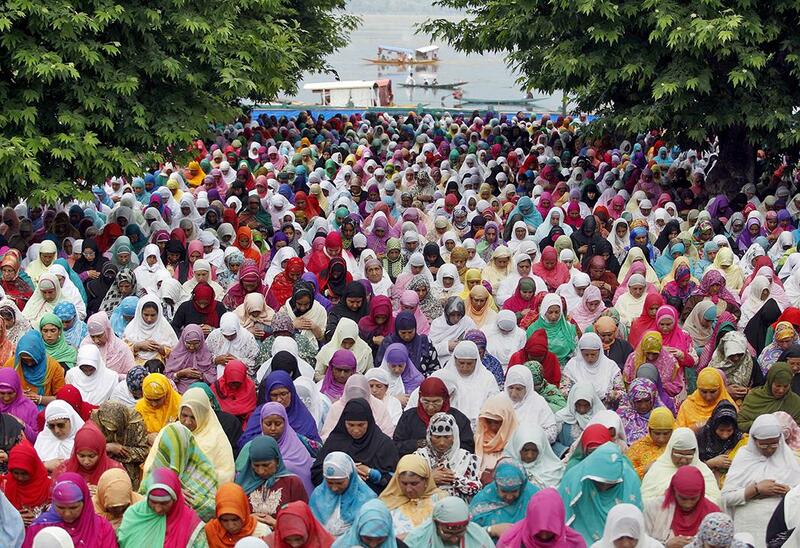 Kashmiri Muslim women offer prayers following celebrations for Meraj-un-Nabi at the Hazratbal shrine in Srinagar, India, on May 22, 2015. The shrine houses what is believed to be a relic from the beard of Prophet Mohammed.